There are a lot of stories about prostitution in Locke, and most of which solely include Caucasian prostitutes living and offering their services to the men folk there. But why were there so many Caucasian prostitutes in a town that current society believes to have been solely Chinese? Because, our current society's interpretation of Locke's history is wrong. There were three brothels in Locke that were owned and operated by Caucasian men. 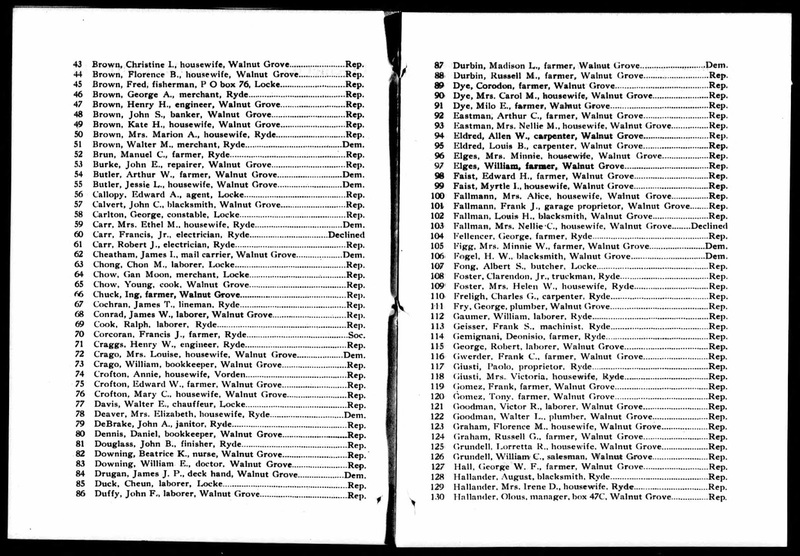 This is because there were "white" people living in Locke, as well as Japanese, Portuguese, Italian, Russian, Chinese and of course others, as I have proven in some of my other blog posts based on actual documented census records, voting registries and even draft records filed with the government. Again, this idea that Locke was solely a Chinese town is grossly misrepresented, almost entirely due to oral histories that were very biased and one-sided that have been taken at face value without anyone actually researching further to see if these people's memories match the factual documented history of the time. Remember, the older folks who have been interviewed over the years, and many who have passed did not live in Locke in its early years. Many of them came later on, after many of the Caucasians had moved out, as well as others, and the majority left that remained were Chinese. They wouldn't know how it was back then. And the ones who were there in the early days were just children. And everyone knows a child's memory isn't as clear as an adults would be at the time. They only remember glimpses of the past. An elderly person's memory of when they were a mere child is not going to be as accurate as documented, factual evidence from that specific period in time. Then later on in the 1960's when the beatnik generation stemming from the bay area came out to Locke they just assumed it was all Chinese from the beginning, because the elderly Chinese residents were all that was left there, and the old timers only spoke about their own. Fortunately, I have found enough documentation and even some oral histories that have confirmed Locke was not solely a Chinese town, which I plan to bring to the forefront in the coming future with a more accurate telling of Locke's history in book form. 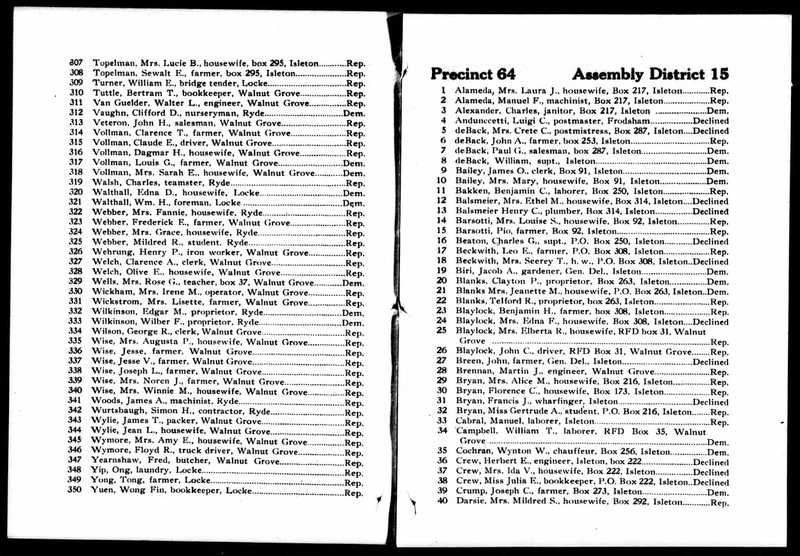 Getting back to the subject of prostitution, back in 1919 a lady by the name of Ruby Allen came forward to the State of California filing an affidavit accusing George Locke (grandson of G.W. Locke) of operating houses of ill repute in Locke. Within a day the affidavit was published in the newspapers, with the damaging headlines creating quite a stir. That I did thereupon occupy the house and had girls in said house for purposes of prostitution, in accordance with agreement with said George Locke; that a girl named Ellis [sic] came to the said house and stated she had been sent there by the said George Locke, and he told me that he had sent the said girl Ellis to my house in Locke, to work as a prostitute in accordance with this agreement, and told me to treat her right and that the said said Ellis did actually, in compliance with this arrangement, work in my house at Locke as a prostitute, practising prostitution for money." -- 2/4/ 1919 affidavit of Ruby Allen. Several months later the said George Locke came to the said White House in Lockeport and asked me in the presence of the landlady, Ruby Allen, to open up a house of prostitution in Sacramento over a firehouse, telling me that I could not keep any other girls there but would have to do all the prostitution myself and that I should be very careful as to whom I let in as there were many stool pigeons around; stating further that I should pay him all the money I made from prostitution." 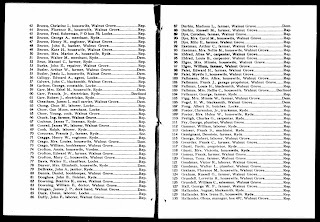 -- 3/3/1919, affidavit of Mae Beach. 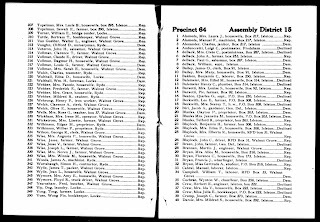 Not much was done to George Locke, and prostitution continued in the town well into the 1950's, until Governor Pat Brown finally went around to the small towns raiding them and putting an end to the oldest profession in California towns, (well at least publicly that is). So what happened to Ruby Allen? Well according to her affidavit, she claimed to have married a Mr. C. Smith and changed her name, but no records have been found that confirm this. Perhaps she wanted to look as though she had cleaned up her act in order to approach the courts, and be taken seriously, but it doesn't look like she really did. If by some off chance she met a gentleman (or even perhaps one of her Johns), and married him in a spontaneous act, it looks like it didn't last, because records show she returned to the oldest profession, this time in San Francisco. By October 20, 1920, that was the end of the line for Ms. Allen. On the morning of October 21, 1920, a maid at the Knickerbocker hotel (now the Post Hotel) in San Francisco discovered the body of Ruby Allen, who had been bound, gagged and strangled. After the authorities began investigating, it was discovered that Ruby had invited a gentleman up to her room with her the evening before, and he had registered under the name R. E. Donaldson. It was later learned that Donaldson was actually E.R.E. Dugal, a former soldier in the Canadian Expeditionary Forces who fought in France. He had returned from battle with shell shock. He had been working in construction in Newcastle at that time, and on the day of Ruby's murder, he had cashed his check (check no. 350) at a local bank and he allegedly paid Ruby Allen with a $20 bill that was marked #350 on it. (This was stated by the police). Immediately the police issued a warrant for his arrest. One of the chauffeurs at the hotel, William T. Diggins, who positively identified the murdered woman as Ruby Allen, claimed he knew her, and that she was originally from Mobile, Alabama, where he was also from. He claimed he knew her there, and detectives noticed how deeply affected the sight of her body was to Diggins. Just hours after Ruby's body had been discovered, the police learned of a body of a man that was found on Thornton Beach (Daly City). He had been found with a bullet in his head, no weapon anywhere, and female footprints in the sand leaving the scene. The police were certain there was a connection, and after some digging it appeared to be true. 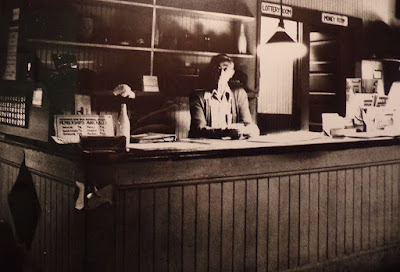 The night clerk at the Knickerbocker, Edward Cosgrove, positively identified the body of the man to be the same person he saw with Ruby the night she was murdered. What is even more odd is the fact that the very next day in Oakland, a gentleman working for the Salvation Army, Richard Skelland, claimed he saw Donaldson very much alive. In fact he was reading a newspaper about the discovery of the man's body on Thornton Beach when Skelland attempted to stop him. The man immediately broke free from his grasp and ran towards the waterfront. Police was dispatched and there was a search for this mystery man, but nothing I could find ever came of it. Did Skelland mistake this random person as Donaldson? Or was it really him? If so, who was the man who was murdered on the beach? And most importantly, why were there female foot prints in the sand leaving the body? With one question comes another, and another....leaving this story to literally be one of those mysteries that I haven't been able to solve, yet. At one point the police thought it was possible that the murderer of Ruby Allen was Bluebeard Watson, a serial killer but he was serving a life sentence in San Quentin at the time so that wasn't possible. There were others such as "Jack the Strangler" who sent letters to the police claiming he murdered Ulla Carlson in March of 1920 on the corner of Lafayette and Crocker Avenue in Piedmont, but even that murder seems to have never been solved either. 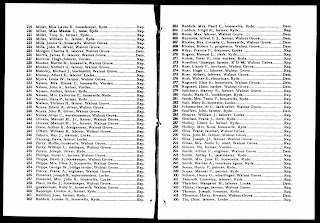 As far as Ruby goes, according to Halsted & Company Funeral Records, Ruby's real name was Scurah Allen aka Ruby Allen, and she was actually born in Canada in 1895. She was only 25 years old at the time of her death. It is unknown whether she is buried at a cemetery or was cremated. Given the fact she was also from Canada, makes me wonder if she might have known Donaldson? Also, could there have been some sort of jealousy between William Diggins (who claimed he knew her in Mobile, Alabama) and this Donaldson fellow? There are just too many unanswered questions to this one. However, I felt that Ruby's story should be told, regardless of whether we know for certain who killed her, or why, for that matter. Labels: Locke, Murder, Prostitution, Ruby Allen, Unsolved Mystery. 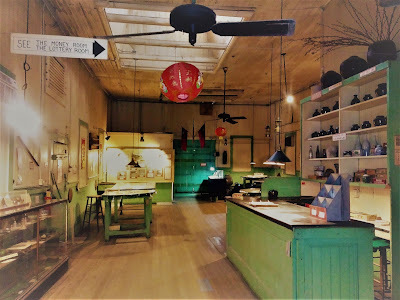 When visiting Locke, California, you might wander into the Dai Loy Museum. This historic building was once one of several gambling halls that was popular, especially during the 1920's. The hall itself is said to have been constructed in 1916 and remained a gambling hall until it was shut down in the 1950's. This blog will not touch on the earlier times this building has seen as a gambling hall, but instead this blog post will primarily focus on the museum itself: when it was opened, who was involved and so forth. According to archived newsletters from the Sacramento River Delta Historical Society (which I have obtained 40 years worth of copies of), I have been able to form a timeline and a brief history of the Dai Loy Museum and some of the people who made the museum possible. All notations below are compiled from said newsletters. A project that took over seven weeks and 40 members of the historical society to complete, "scrubbing, sorting, cleaning, sweeping, repairing, painting and fixing," the building to make it available to be used as a museum open to the public. On April 29th and 30th, of 1977, the Dai Loy Museum celebrated its Grand Opening. The cost to enter was $5 per person, and it started at 6 p.m. and ended at 9 p.m. It was opened every weekend until November and remained that way for many years. All volunteers were members of the historical society (SRDHS). By 1979, the River News Herald in Rio Vista reported that the town of Locke was awarded $140,000 history grant, which was the 5th largest grant from the Department of Interior's Historic Preservation Fund. In 1980, Bob James, Galen & Maryn Whitney, Jim and Barbara Dahlberg, Loyal Mealer and Clarence Pratt worked hard to revamp the museum, keeping exhibits repaired and restored on a constant basis. Clarence is mentioned a lot over the years, and it appears he was the one who spearheaded the project and became the No. 1 docent at the museum for many years (along with his wife, Emma). By 1981, the museum had been opened for only 4 years, but had already seen a total of 45,000 visitors. In that season alone they received 11,443 visitors. In 1982, Brother Dennis from St. Mary's College donated: an old straw hat, straw war shield, wooden spear and wooden flute to the museum. Marie Camozzi, a former operator of the Tule's Restaurant in Locke, donated a framed photo. Tim Wilson donated account books and Lind and Ed Dutra installed fire extinguishers to the building for safety. The 1982 season saw a total of 11,579 visitors. In 1983, there are notations that three tour companies were making regular trips to Locke: Exploration Cruise Lines, Yankee Tours and Cherokee Tours. Clarence Pratt was always there at the museum to guide all the visitors around. By that time there had been visitors from 40 states in the U.S. as well as 24 countries. There were also regular schools having field trips to Locke from all over the bay area. During that season, other museum volunteers running the place were Paul and Lucy Barnes. By the end of the 1983 season, the museum had received a total of 15,000 visitors. 1984 saw 6,642 visitors between March and June, and the volunteers for that season included Jim Dahlberg, Jim Gualco, Don Quesenberry and Bob Peters. By 1985, there had been 5,502 visitors between March and June, from 29 states and 23 countries. Donations to the museum included: Chinese bench from the "old men's club" by Frances Armstrong, a soy jug for display from Kathie Graham, the Estate of Bob Suen donated a Chinese sign from the Locke Sportsmen's Club, Glyta Hedges (from Lake Tahoe) donated a photo of Locke and Walnut Grove. Iva Corder (from Isleton) donated newspaper clippings from 1972 about Isleton. Gregg Campbell donated a transcribed oral history about Portuguese and Japanese in Freeport, Jim Bullock donated an old highway map. Steve Simmons donated a Delta Country book, and Edwin and Enid Wright donated four albums of the historical society's history. Unfortunately, by 1987 there were some sudden changes within the museum. By the 10th Anniversary, and after seeing a grand total of 115,000 visitors over the span of a decade, there were those who felt that the museum needed to change. As the historical society's newsletter states, they "removed things that were not strictly applicable to the Chinese Experience in the Delta and Locke itself" -- those removed items were said to be incorporated in the Delta History Gallery at the SRDHS office. "Attention is once again clearly focused on the Gambling Hall motif." So, we do not know today what the SRDHS had originally displayed in the building. It seems as if perhaps at one point the museum actually had some relics and exhibits on display that showed there were others in Locke during its early days, but someone decided to "remove" those items. This was around same time period that Clarence Pratt resigned because of failing health of his wife, Emma. I wonder if some of the members waited until Clarence left to implement these changes? By 1988, the newsletters mention that the second floor of the museum had to be closed due to a lack of fire escape and it had to do with insurance coverage. "The floor is spongy and needs repairs, the footing underneath the building needs replacement." Sadly, it appears the building is still in bad shape, the last time I was there I noticed the "spongy" floors and it's 2017, that was 29 years ago that this notation was published! 1988 was the same year Clarence Pratt passed away as well. Clarence was 85 years old. 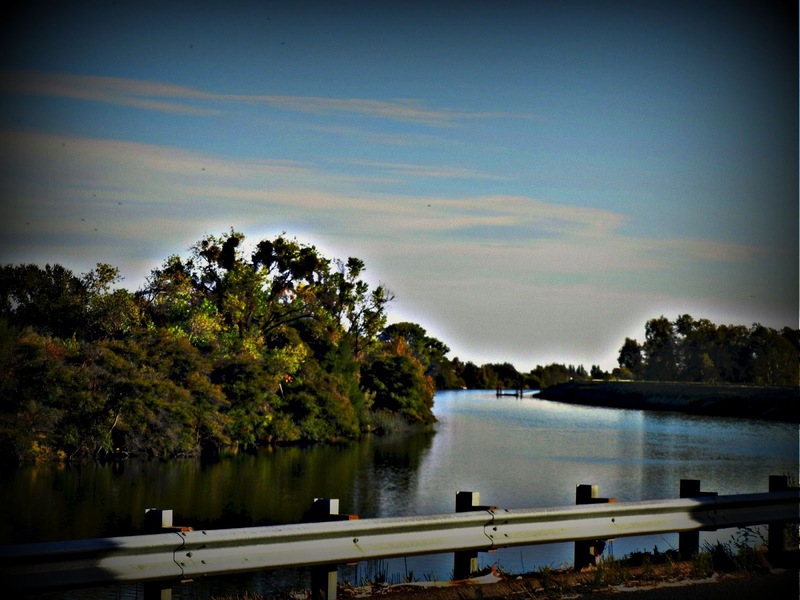 He grew up in Lodi, and worked on Dennis Leary's ranch as a carpenter and maintenance man for over 50 years. His obituary in the Lodi News Sentinel names him for the restoration effort to open the museum. He was interred in the Mausoleum at Lodi Memorial Cemetery alongside his wife, Emma. To this day there is a plaque in the Dai Loy Museum honoring Clarence Pratt's efforts to the museum. You can see the photograph as you walk down the hall to the "Money Room." The 1989 newsletters begin to mention Connie King as volunteering for special tours along with Carol Watson. I also found a notation that Senator John Garamendi (D) from Walnut Grove, had presented a "motion for a feasibility study to incorporate Locke into the State Parks System." It also adds that the motion passed by a unanimous vote. The season total of visitors to the museum for 1989 was 9,000. Between 1990-1992 we find changes to the newsletters' mentioning the museum. Where they once introduced each newsletter with positive comments about the museum and all the progress that had been made, by the early 1990's it seems there was a change in the wind. By June 1990, it mentions that an agreement had been made between the historical society and Clarence Chu (Locke Properties, Inc.) that Chu would take over the museum and staff it himself. It states the historical society would still remain responsible for the exhibits but that they would no longer be "involved" in the staffing of the museum. The 1992 newsletters add that the "joint operation with Clarence Chu of Asian City Development is working well. The museum building has been sold to the company with the provision that it remain a museum. The Society rents the artifacts to the corporation and the "complicated" arrangement seems to have everyone happy." As time went on you find less and less mention of the museum since the historical society no longer ran it. What has happened from 1992 to the present is anyone's guess, as I have yet to find anything in books or online documenting any changes or progress made. If by chance I do find it, I will post it here. In ending this, I just wanted to give everyone a timeline of when the building became a museum, who was directly involved in the process and who helped keep it going over the years. In future posts I will be getting deeper into the stories of gambling, opium dens and of course the brothels in Locke. But today, I wanted to share with you all the information I discovered on the Dai Loy Museum's history. During my research into Locke's truly captivating past, I have been able to identify at least two of Locke's watchmen. The first on record was of course, George Carlton. 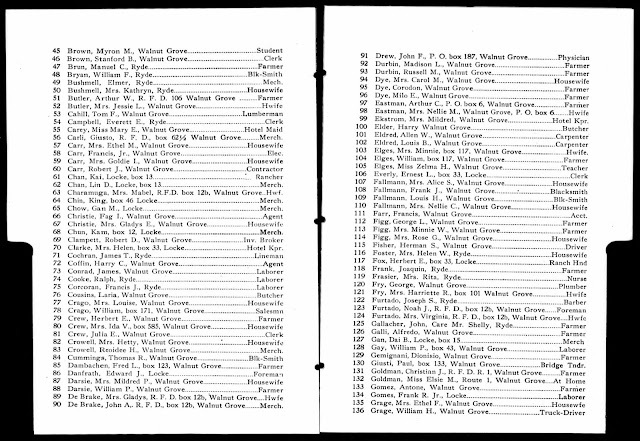 Not only was he listed as "Watchman" for the "Town of Locke" on the census records, he was also noted as the constable in both voting registries and in several newspaper articles of the time. George Carlton was living in Locke as early as 1916, which is when the town was being built up and officially recognized as a town with its very own post office. The post master was Clay Locke, heir to the Locke ranch, and grandson of George W. Locke, the man for which the town of Locke was named. Carlton came from English/German born parents, so the idea of using the term "Watchman" would not have been a new one, especially if his father was from England. The "Watchman" or "Constable" from his father's time period went hand in hand. The Dictionary defines a watchman as " a person who keeps guard over a building at night, to protect it from fire, vandals, or thieves." It also means "a person who guards or patrols the streets at night." According to the Parliament.uk's website going even as far back as the mid 1700's in England, many times towns allowed Acts to be passed that "often included provision for paid watchmen or constables to patrol towns at night," because of lack of policemen to watch over every area. Even the name "Constable" is a British term that was not often used in the U.S., even back in 1916. 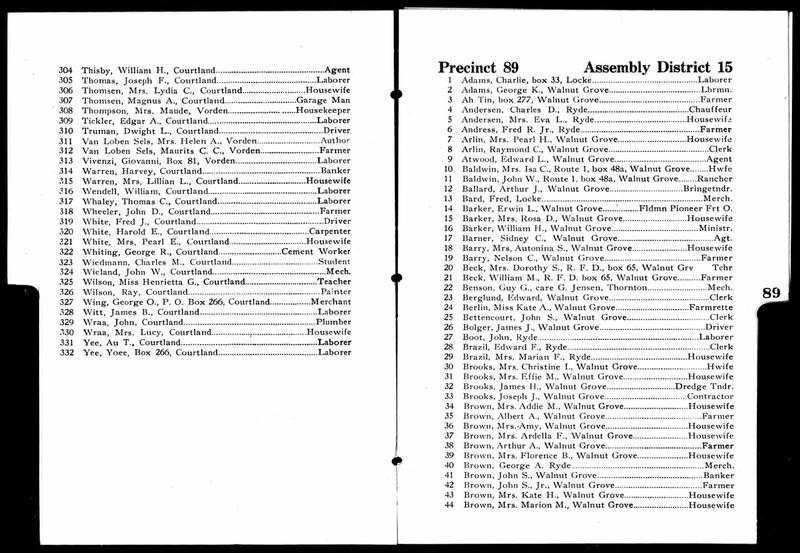 By 1930, George Carlton was still in Locke but now listed as Assistant Post Master. He eventually left at some point during 1930 because his death is listed in Los Angeles County by December of that year. Besides George Carlton, there was only one other watchman I could find during my research into this subject. The other person's name was Hoy Key (sometimes also mentioned as Boy Key) and he was the Bok-Bok man of Locke. 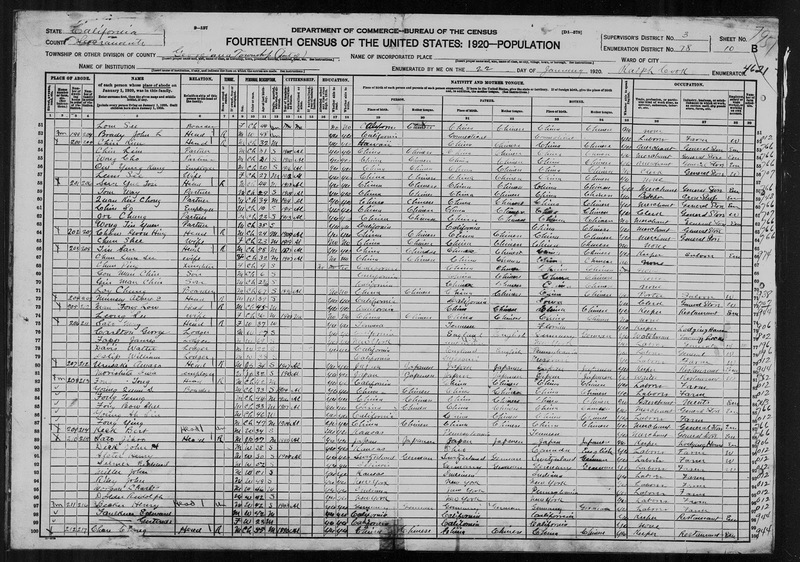 Hoy Key was born sometime around 1892, and when he immigrated to the U.S. is unknown. What we do know is that he eventually found his way to Locke, and made it his lifelong home. How that term "Bok Bok" came about I am unsure, but some have speculated because of the sound he made while hitting a wooden box that he carried while walking the streets at night. He was keeping an eye out for fires, and the clicking sound he made on the hour every hour while he was working his nightly watch gave residents reassurance that their homes were safe. According to the Sacramento Delta Historical Society's newsletter from June of 1985, Hoy Key passed away the spring of 1984, at the age of 92. It said he had been the Bok Bok man for many years until retiring in 1954. Perhaps he took over when George Carlton left? Hoy Key remained in Locke the rest of his life until he passed away, and it was mentioned that during the creation of the Dai Loy Museum, he assisted with the curators and volunteers in setting up the gambling tables in the museum (along with Joe Chow and Ping Lee) to make sure everything was set up authentically for the exhibit. Over the years I have read several internet sites mention the "Legend of the Bok-Bok Man" as if he was some sort of scary spirit haunting Locke. That is not only ridiculous but very disrespectful in my opinion. This man must have really loved Locke to remain there all those years, and I am sure he was proud of the time he spent working as the night watchman for Locke, keeping the town safe from fires. We should honor both men's legacies for the work they did, and in no way disrespect their roles, downplay or attach fabricated lore to them, because they were real people with real lives, and they deserve that much, if not more. 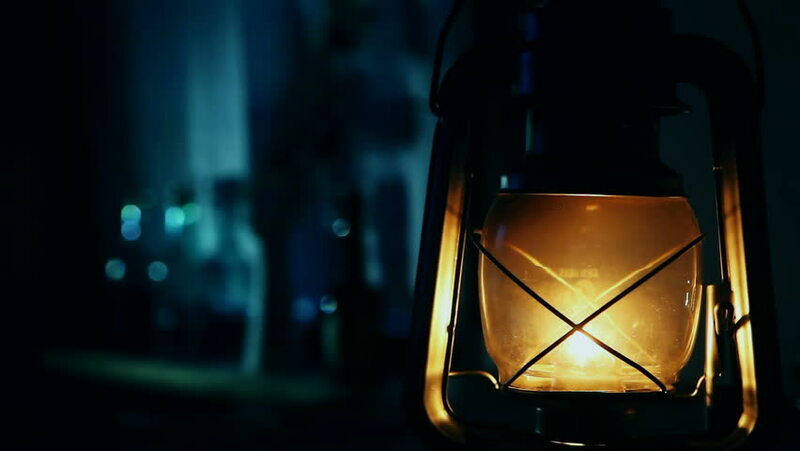 Let us always remember the night watchmen of Locke, George Carlton and Hoy Key. 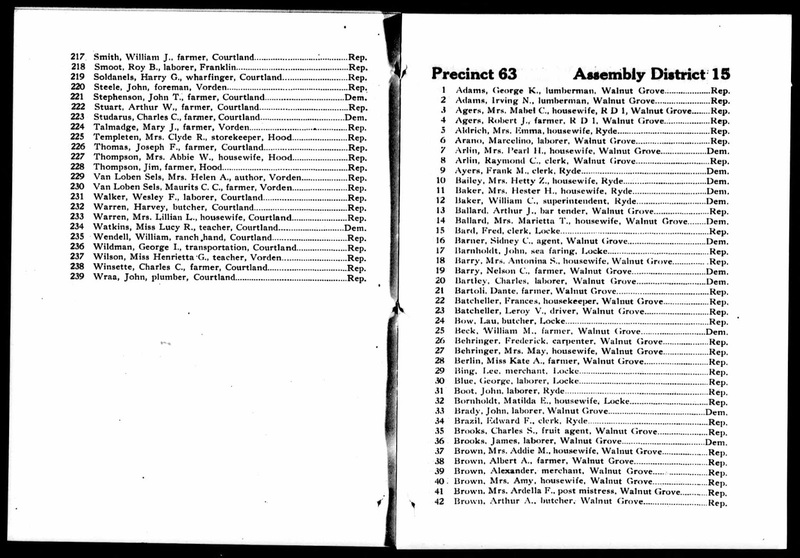 In 1920, Locke was still included on the Georgiana Township Census records. It was still a small town and so Ryde, Walnut Grove and Locke as well as Isleton were recorded in the census. 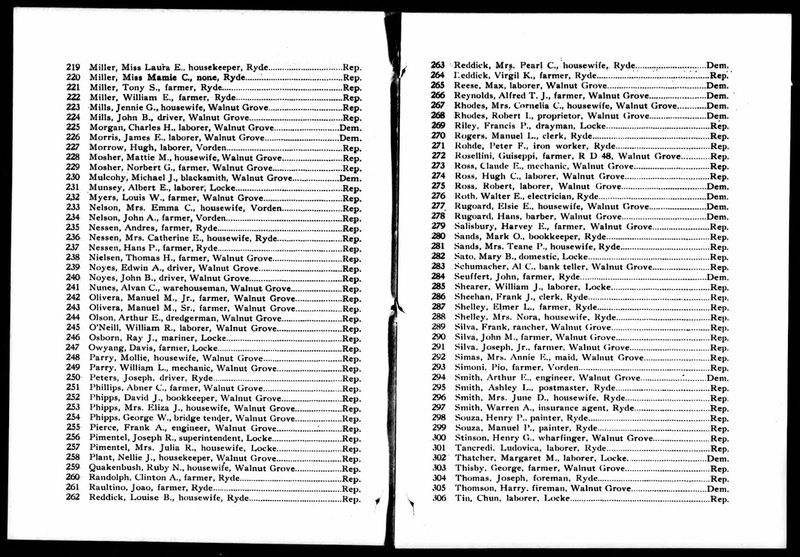 There are 36 pages for that particular census, however, based on the names listed on the 1920 voting registry listing residents for Locke I was able to cross reference them along with other names of residents I recognized to narrow down the number of pages in the census that reflect Locke. 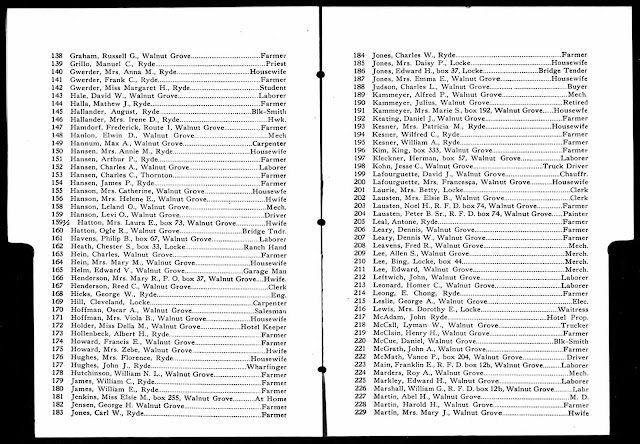 By using that method of research the residents of Locke can be found between pages 18-23 on that particular census. 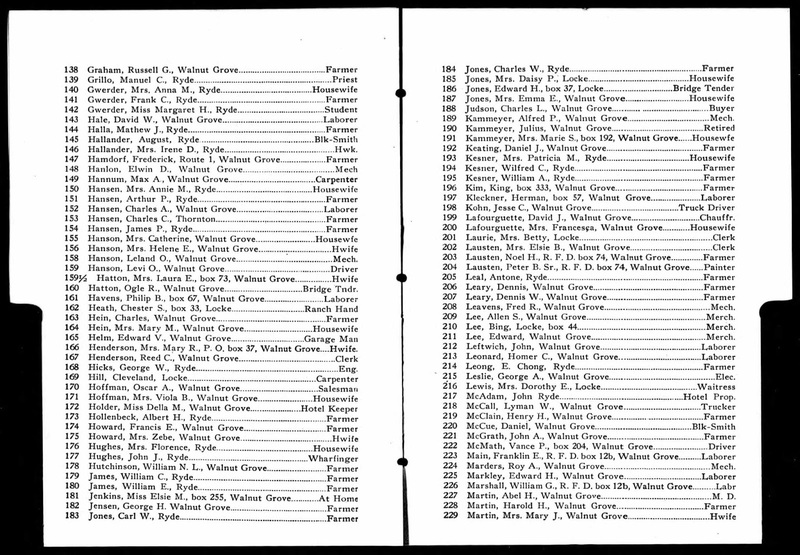 Right now I am in the process of making a database of all the residents listed in the 1920, 1930 and 1940 census' for Locke. Once I am done I will be making all this information available. Until then, this is a very basic summarized blog post giving you an idea of the make up of Locke during 1920. 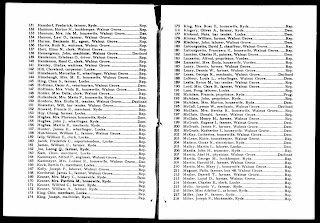 121- Caucasians living in Locke in 1920 (this included Americans (born within the U.S.) as well as European Immigrants from: Germany, Portugal, Holland, Switzerland, Scotland, and Russia. 29- Japanese living in Locke in 1920. 3 - Hindu, East Indians living in Locke in 1920. As always, this is further proof that shows the Locke was comprised of many different groups of people from its beginnings, and was not "Exclusively built by, for and lived in soley by Chinese" as many people will try to have you believe. Look, I have absolutely nothing against the Chinese people of Locke, in fact, I love everyone who lived there and contributed their culture and heritage to this unique little town. Everyone! I just do not like that a lot of the history of Locke has been forgotten or purposely omitted. I believe that all of Locke's history should be remembered, from the Chinese to the Caucasian residents, the Japanese, the Hindu, the Italians, Portuguese and even the Russians who lived out on Locke Slough (out back behind Locke; near Snodgrass Slough), which was still considered part of Locke and was part of the Locke family estate. These people deserve to be remembered, too. 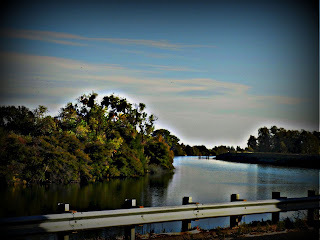 And this town deserves to acknowledge ALL the former residents of this beautiful Delta hideaway. 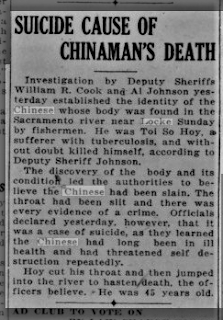 On Sunday, September 11, 1921, fishermen on the Sacramento River near Locke discovered the body of Toi So Hoy, 45, resident of Locke. Upon arriving, Deputy Sheriff's Cook and Johnson started an investigation into the cause of death as well as establishing the identity of the man. 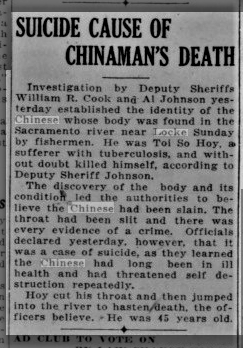 According to the Sacramento Union Newspaper, "The discovery of the body and its condition led the authorities to believe the Chinese had been slain. The throat had been slit and there was every evidence of a crime. Officials declared yesterday, however, that it was a case of suicide, as they learned the Chinese had long been in ill health and had threatened self destruction repeatedly." As it turned out he was suffering with an advanced case of tuberculosis and had been ill for some time. It was determined that Hoy cut his throat and then flung himself into the river. There are no records that I could find of that mention if he was buried at a cemetery or not. So as far as we know, this newspaper mention of his death is the only record we have that he existed. Let us remember Mr. Toi So Hoy, and the painful and very tragic way he died. 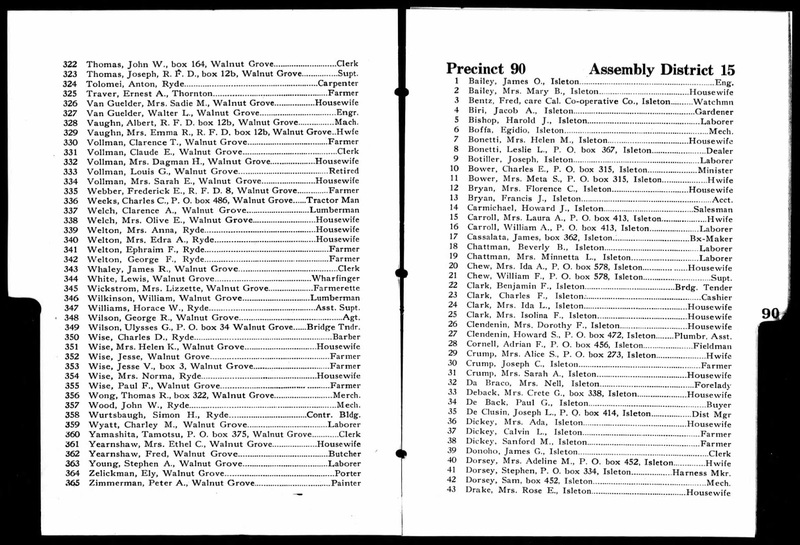 On this blog so far I have shown the names of registered voters living in Locke going as far back as 1916-1918, 1920-1922 and now I have the list from 1926, and trust me folks, I am far from being done here! I am going to keep digging and keep posting all the documentation that is out there, so the world can know the all encompassing history of Locke. Not just the history that others want to present to you. The world deserves to know all of it. What I gather from this list is some pretty interesting people. 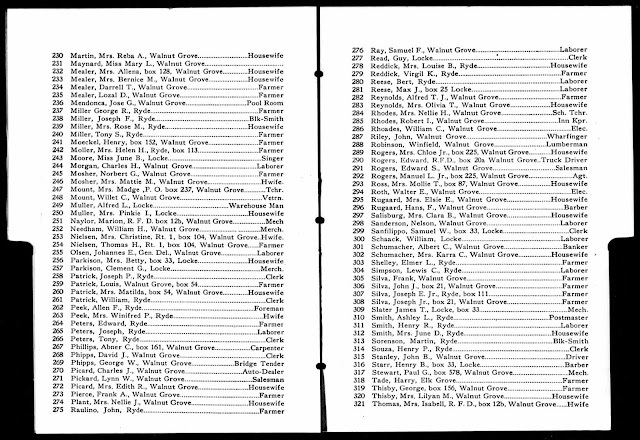 For instance, we have a singer, a hotel keeper, a barber, and many more people, including several couples who were living there in Locke, who were not Chinese. Again, this is more proof that Locke was a town full of diversity from its beginnings, with both Chinese & Caucasian, as well as many others. In this list we even see an Italian and Portuguese man registered as a voter/resident as well. 38% Chinese Registered Voters*** living in Locke, proving that even in its early years, Locke was a small but diverse town. you had to prove citizenship. 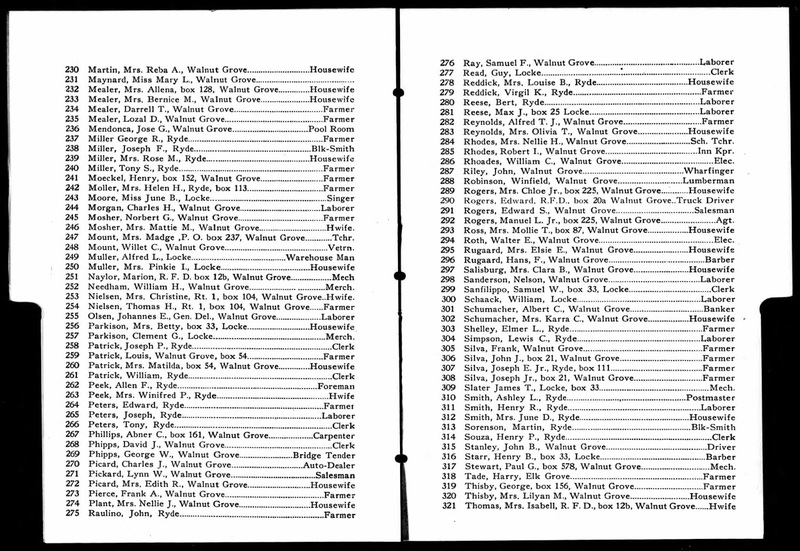 Thus each and every one of these people listed had to provide documentation showing they were citizens (whether the documentation they provided was real or not). This is an important factor to remember because if you could vote, you could buy land or own businesses because the Alien Land Law of 1913 did not bar citizens from owning property, only aliens. So if you had papers saying you were a Citizen, that law did not apply to you. Just an FYI. 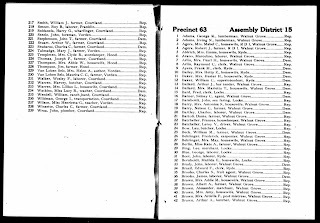 Sources: California 1920-1922 Voting Registries, Public Records. This is a one of a kind historical site on Locke that will shed light on many subjects that have been ignored or blatantly dismissed over the years. I have done painstaking research for several years now, to provide my readers with an accurate history of Locke. 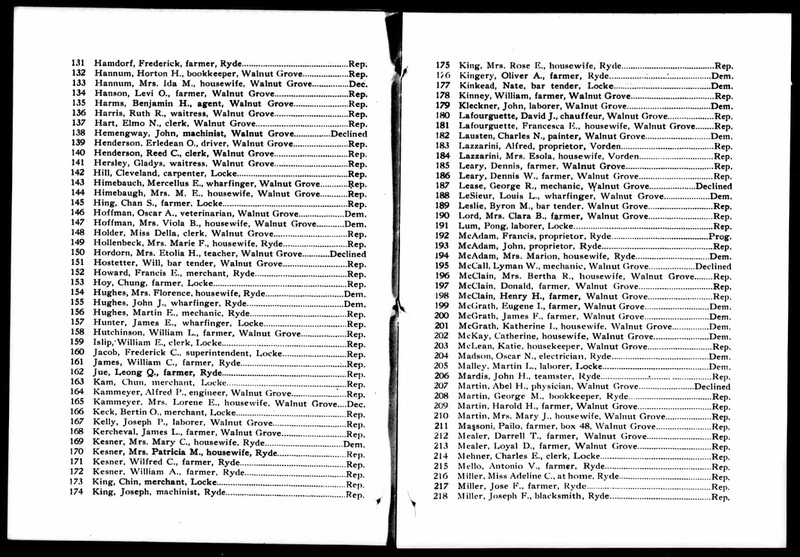 Over time I have found a plethora of historical documents, archived newspaper accounts, records, directories, census records that tells us plenty more about the goings on in this town's colorful past. Most of these stories have not been told since the events actually took place or were reported in the newspapers or records of the time. 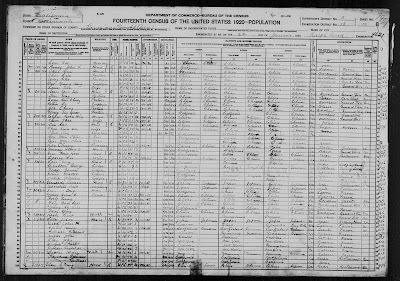 1910 Census Shows Georgiana Township Was Incredible Mix of Cultures! New Locke Barber Shop Business Card Found! Who Approached George Locke First? A Town Founded By Chinese, or Not? Drugs, Crime and Wild Gambling Raids - Just Another Day In Locke!